Easy to make, great to eat! Fiiiinally getting around to posting this recipe I decided to try out! The recipe itself is not mine- it came from Kodiak Cakes Protein Packed Flapjack and Waffle Mix (say that 3 times fast). 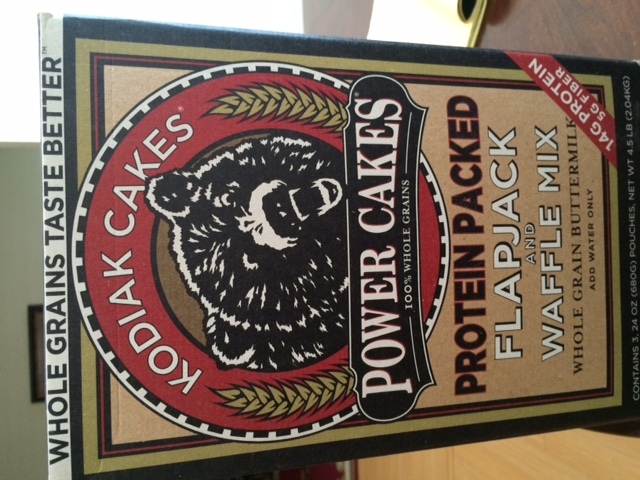 Kodiak Cakes is basically a pancake and waffle mix on steroids, and it makes some of the best pancakes I’ve ever had! You can learn more at www.kodiakcakes.com and find more recipes too. Combine all of the above ingredients and mix well. Then, the fun part- choose your mix ins! Some suggestions I have are: raisins, dried fruit, shredded coconut, chia seeds, almonds, chocolate chips, peanut butter, almond butter, etc. For the batch of bars I made, I used a little bit of everything, plus some chocolate covered dried super fruits I had from Costco. Mix in your mix ins (these are optional), and bake at 350 for 20-30 minutes. Enjoy!